Do you want to spend half the time you should on social selling and send your buyers running? Then by all means, implement these two tips into your strategy. No one shares or likes your posts on LinkedIn. You haven't received a single favorite on Twitter in months. Despite the fact that you share useful, timely updates online, and produce more content than ever before, no one seems to be paying attention. You must be thinking: I've invested all of this time in getting my social game up to speed and it's not producing any results. Is all this time I'm spending on social even worth it? No—not when your messaging isn't good enough. Unlike a lot of bland content, where you stop reading after the first paragraph, you've read up to this point for two reasons. 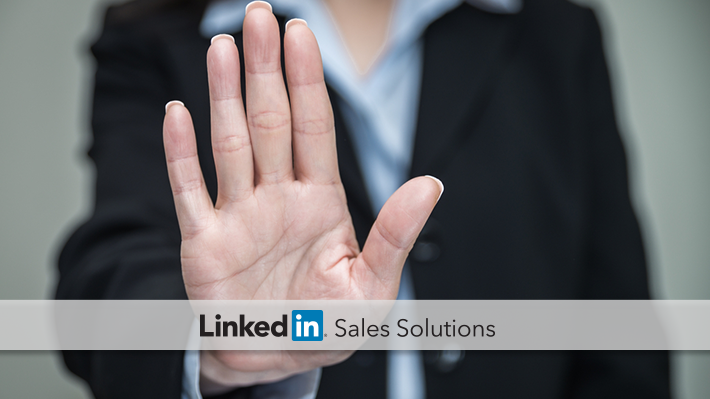 First, this post makes a provocative argument: you should stop spending time social selling. That's an interesting point to make on a blog promoting the benefits of social selling. Second, this post speaks to your immediate needs. In this case, the need is: "If I don't grow my online network, my sales and marketing will continue to stink." Let's break down these two tips to get your social messaging more attention from the right people. Even if you think you’re selling a boring professional service, you aren't. "Your product is going to be interesting to somebody," B2B copywriter Jonathan Kranz says on a recent Salesforce podcast. Kranz gives sage advice. He discusses how he beat the challenge of marketing a non-exciting product like a drill bit produced by an oil extraction company—by putting himself in the shoes of workers on a Gulf of Mexico rig. Out there, in the middle of nowhere, the wrong drill bit could cost millions of dollars every day, he says. When you think of a drill bit in that context, all of a sudden there's a lot at stake. By speaking to that need, Kranz helped make drill bits sound very interesting to a specific audience. Like we did at the beginning of this blog post, you should focus your online messaging on the one single, most roaring fire that your service can put out right now. The raging fire in this blog post is the roaring silence you’re hearing from your followers on social media. Kranz calls the fix to the fire a "plumber's magnet moment." For a homeowner, a big problem occurs when a pipe bursts, he explains. The plumber immediately has a solution to provide that customer: his contact information is right on refrigerator magnet he sent in the mail. Kranz' advice is to focus on forming a succinct message that serves as your version of the plumber's magnet. He asks his clients, "Can you form a concise offer that targets something that people have to address now—fast, an emergency?" In sum, successful social selling takes more than committing time to listening online, sharing, and posting. Yes, of course you'll want to read about how to personalize your sales. But you shouldn't stop there. You'll also want to make sure you inject urgency and fire into your messaging. For more tips on how to entice prospects, download the Sales Manager's Guide to Driving Social Selling Adoption and Revenue.